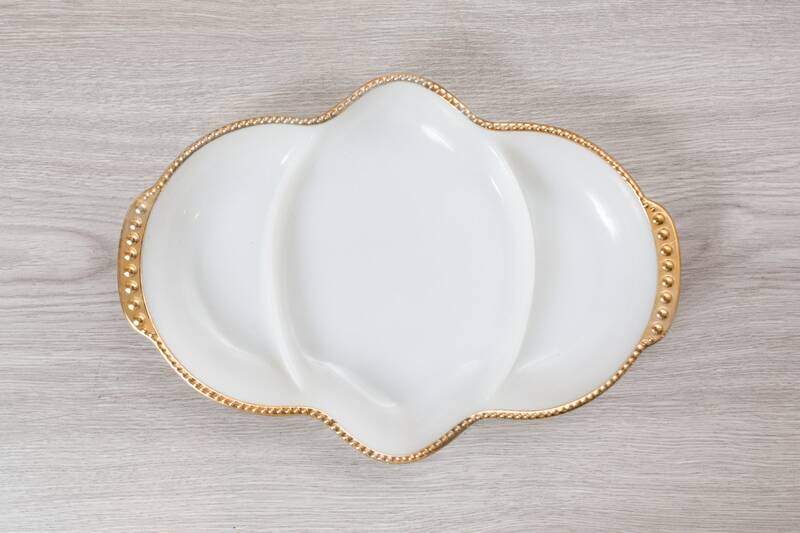 This is a fantastic vintage deviled egg plate by Anchor Hocking. 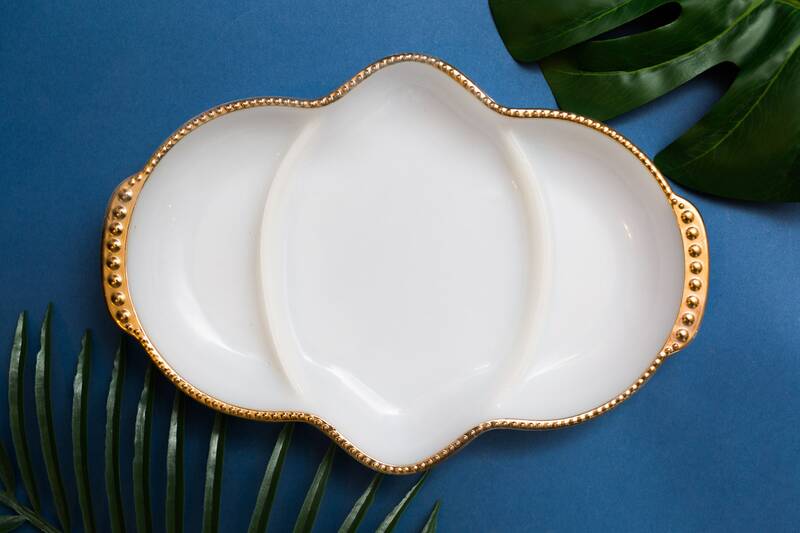 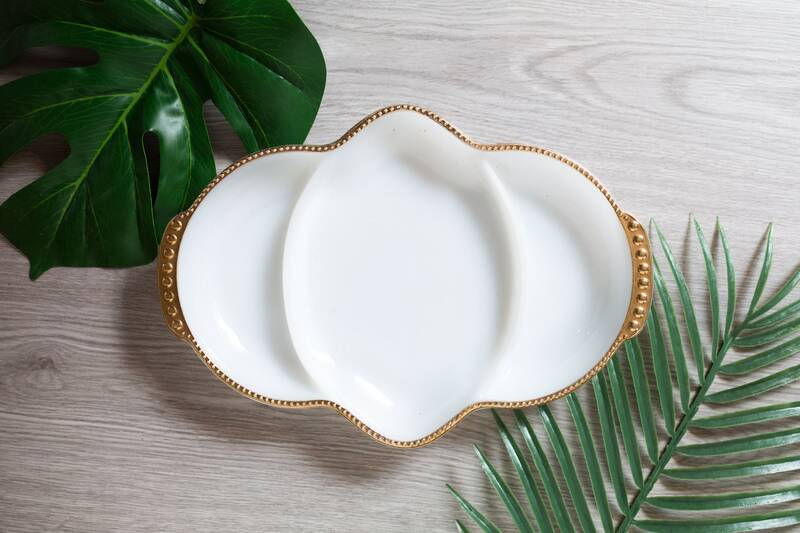 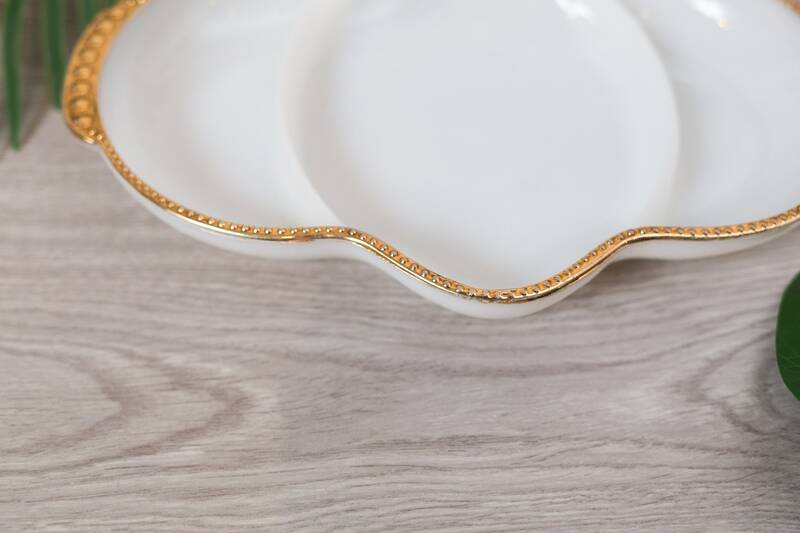 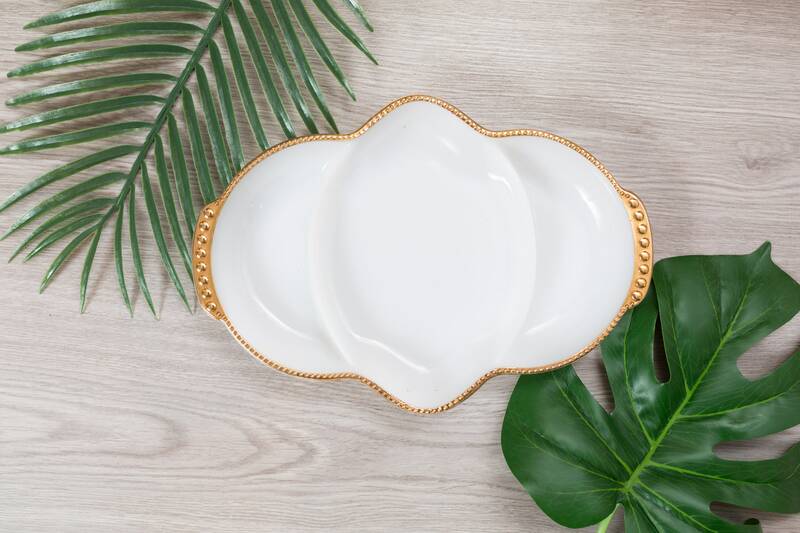 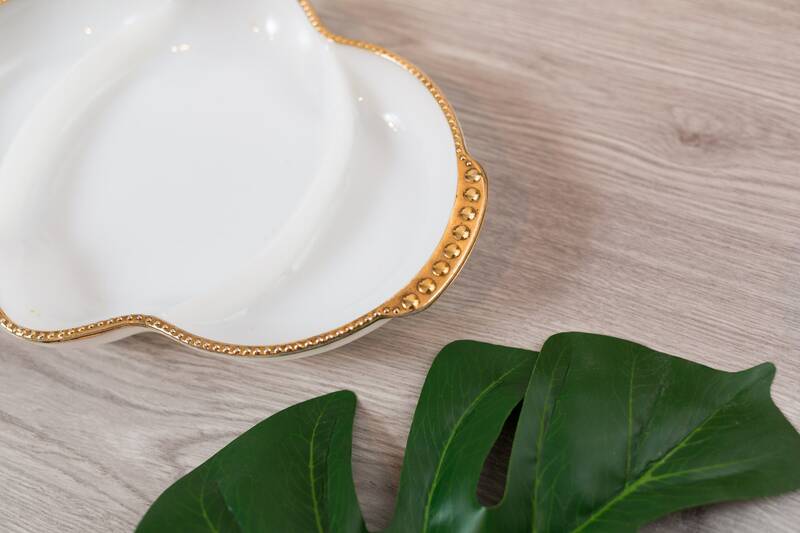 It it white milk glass with a gold gilded rim and scalloped edges. 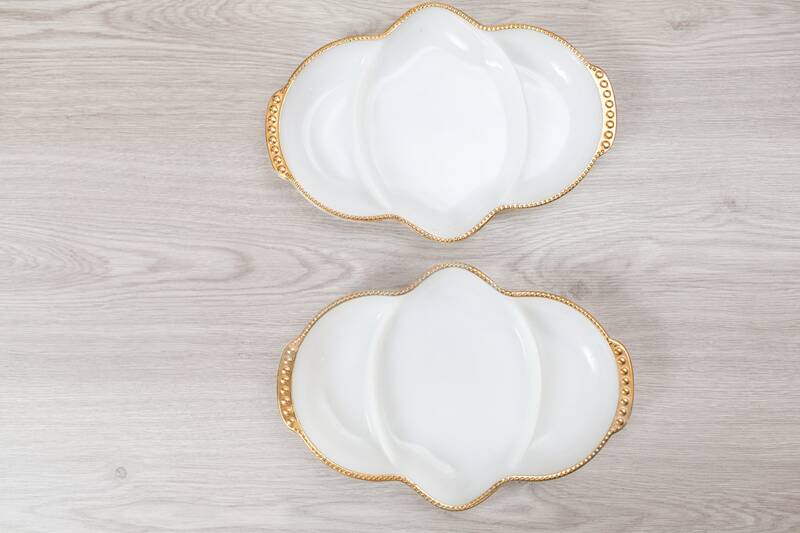 It can also be used as jewelry storage. 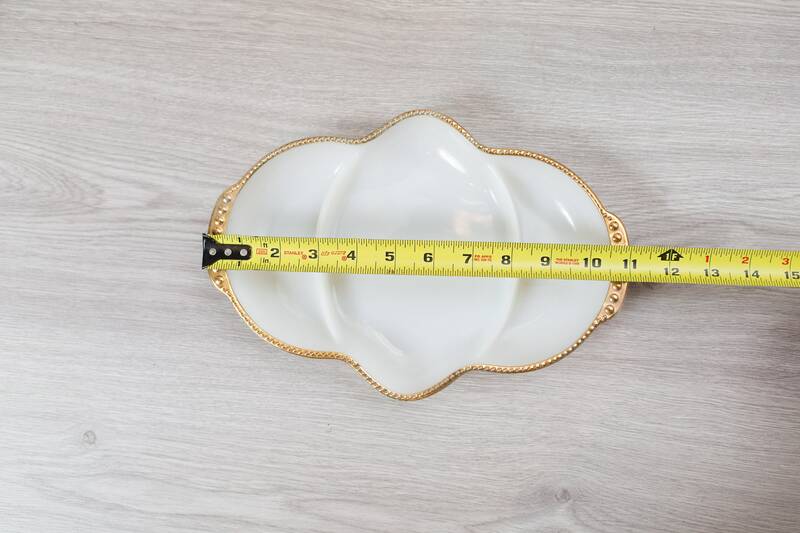 This is a fantastic vintage Anchor Hocking Fire King divided relish dish circa 1950's. 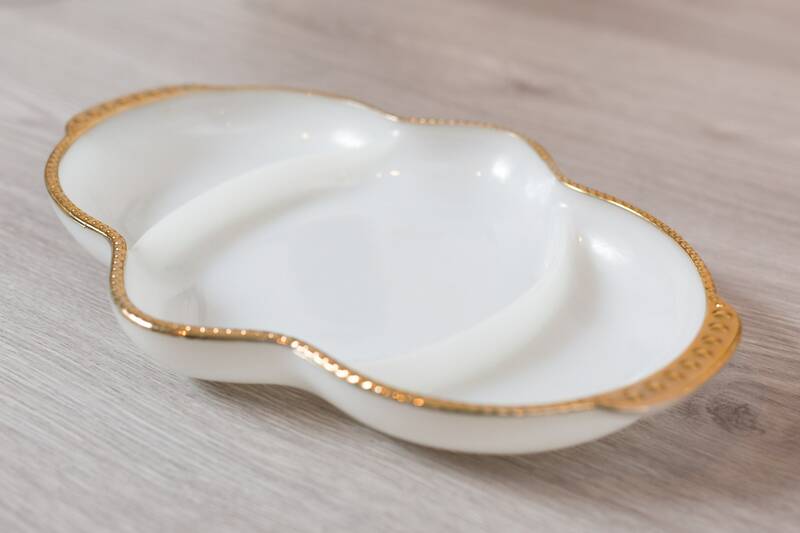 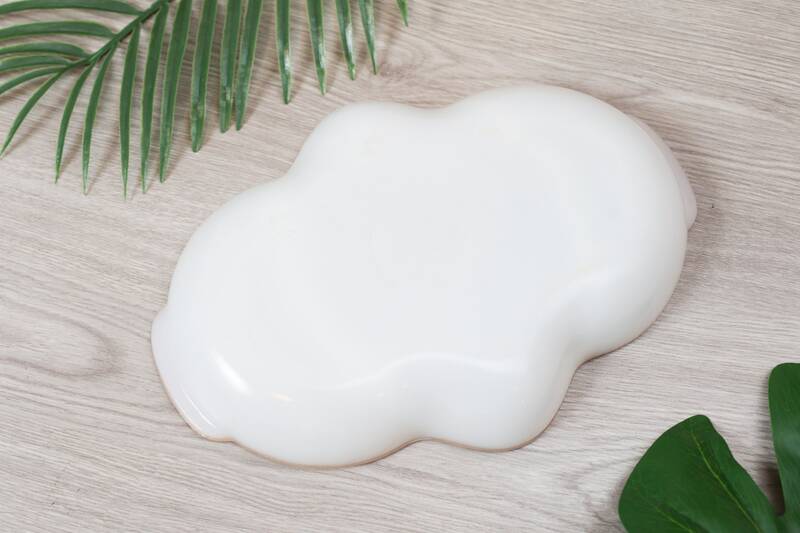 It is made of milk glass with a gold beaded trim.